I grew up in Mumbai where the weather remains practically the same through the year. So when I moved to Delhi, I was surprised to note how many changes are made in our daily lives depending on the season. Summers are all about Light clothing, Air conditioning and all methods of keeping cool. Similarly in winters its Jackets and scarfs, boots and hats and snuggling up in blankets or quilts. 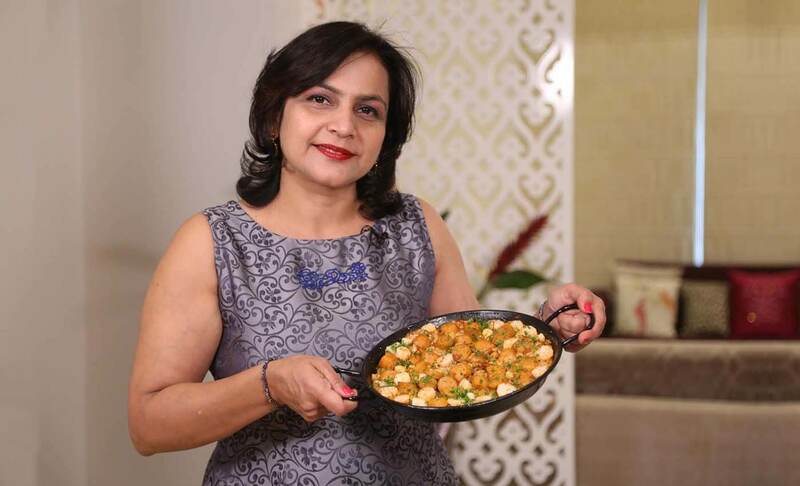 So just as we move from Linens to Woollens and from air conditioners to heaters to keep ourselves warm on the outside we should alter our food intake in winters to keep us warm and healthy from within. 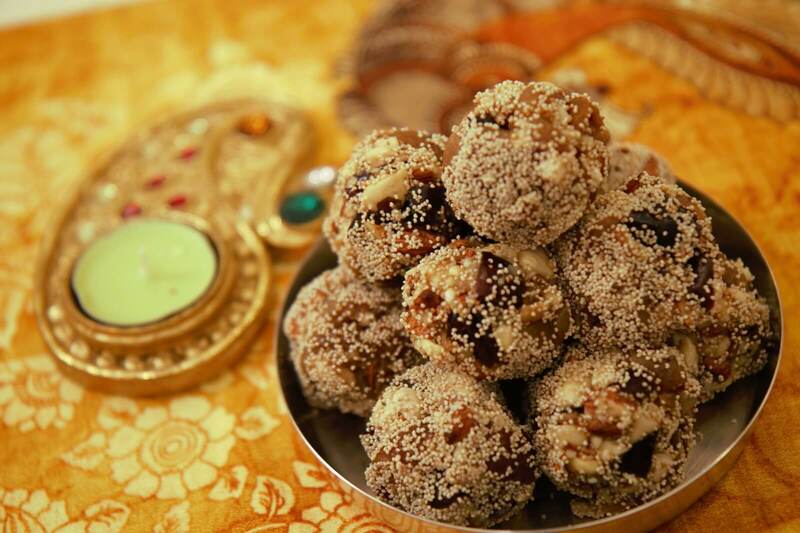 In India, we associate winters with certain foods for example jaggery especially in the month of January around the Sankranti festival. 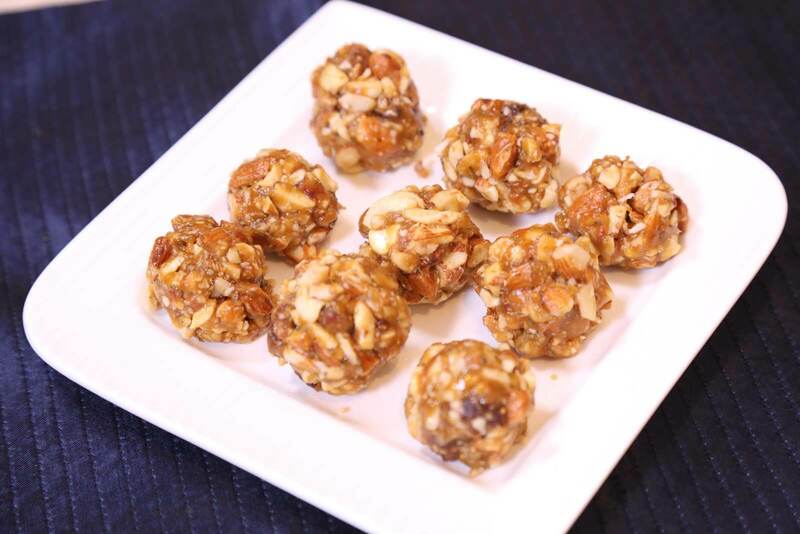 Jaggery is used in Rewari Gajjak in the North to Payasam in the South, From Til-Gur Laddus in the west to Nolen gurer Payesh in the East, Jaggery is enjoyed all over India. 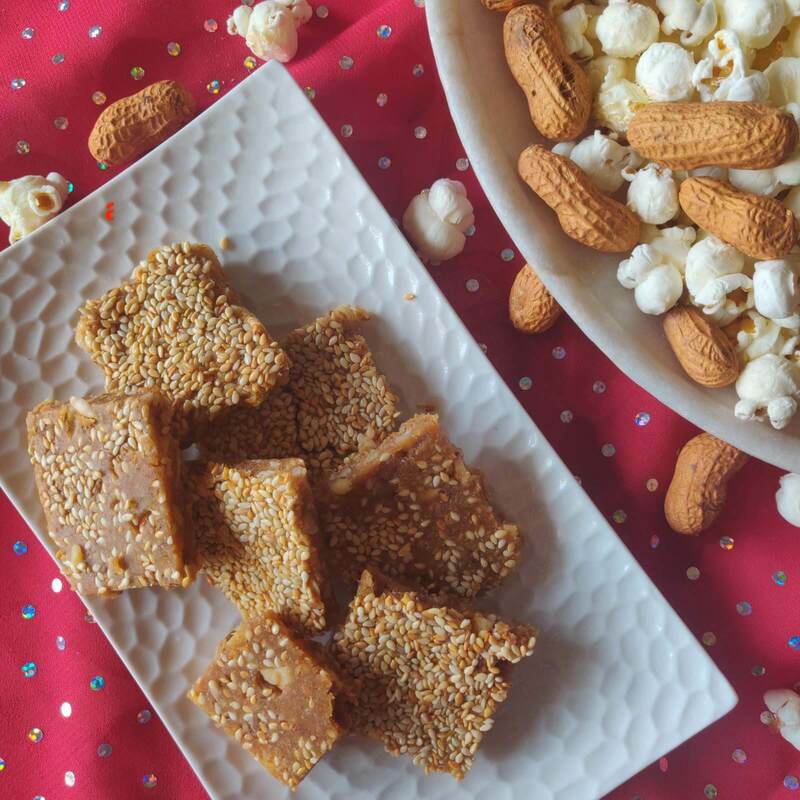 Jaggery aids in digestion and detoxification besides keeping the body warm. Similarly, we have a vast variety of good food that we can eat through the winters. Nature helps us by providing us all that we need to sail through the cold winter months. There is a bounty of colourful Vegetables and Fruits available to perk up dull and dreary winters. Munch on crunchy root vegetables like carrots, beets, turnips and radish which are full of vitamins A, C and beta carotene. Or enjoy a glass of carrot and beetroot juice with a gooseberry thrown in. Sweet potatoes, potatoes, pumpkins and squashes provide you energy to keep lethargy at bay. There is a huge variety of green leafy vegetables like Spinach methi and sarson available that can help in raising your immunity quotient. Fresh Sarson ka Saag with Makkai ki roti is best enjoyed on a cool winter afternoon. Broccoli, cauliflower and my favourite Green peas can improve your defence against winter sickness. 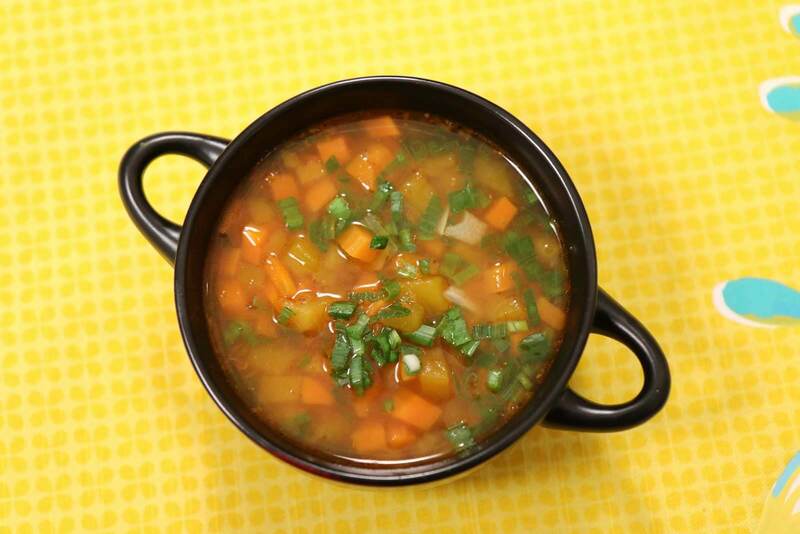 So use a combination of your favourite vegetables and make yourself a hearty bowl of soup. You can find a huge variety of fruits like apples, kiwis, pomegranates, strawberries and various citrus fruits like oranges, mandarins and tangerines at your local fruit seller. We all know that the vitamins and antioxidants in these fruits help in increasing our immunity and thus keeps disease away, especially the vitamin C in citrus fruits helps in prevention of colds and flu and keeps the body hydrated which is so important in the dry weather. Eating Nuts, Dry fruits and seeds in winters is a great way to deal with winter hunger pangs. These superfoods have a low glycemic index and thus keep us full for a longer time. They provide us protein, calcium, selenium, magnesium and dietary fibre which helps in increasing our metabolic rate. So snack on some Almonds, walnuts, raisins and sesame seeds in between meals. Ancient Indian wisdom advised us to have Ghee. Ayurveda provides us with a long list of benefits of eating Ghee. We must use ghee in our food to keep our heart, joints, skin and gut healthy and keep dryness away. Meat, fish and eggs are easily digested in winters. The protein helps in building muscles and the fat helps in insulating the body. It’s the best time to enjoy a well spiced Kashmiri Mutton Roganjosh, Rajasthani Laal Maas, Kebabs and Biryanis or warm paya soup. Fish has a short shelf life and can spoil easily in the summer heat, so winters are the good time to eat Fish. 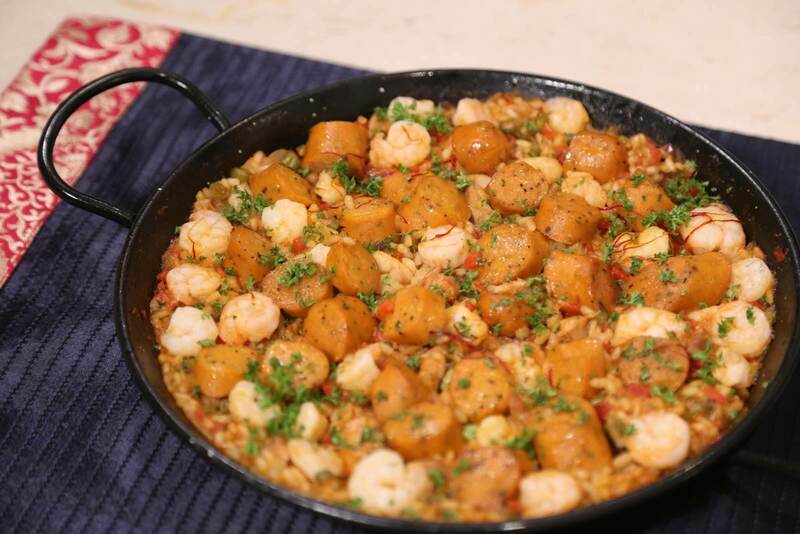 Fish can be easily cooked at home in various forms and besides being delicious it is full of omega oils and vitamin E and D.
So grill some fish, Barbeque some meats or make a one-pot Spanish Paella and enjoy a joyous meal with friends and family. Some winter days are foggy and we can’t see the sun. This makes a lot of people feel low. It can also lead to a deficiency of Vitamin D.
On such days its all the more important to eat well, stay hydrated and continue with ones daily routine. Milk and cheese can provide much need vitamin B and some amount of Vitamin D.
Make sure to add some warming winter spices like cloves black cardamom, cinnamon, black pepper and Turmeric in your daily diet. India has always used turmeric in food and now all over the world it is being recognized as a great spice that has both anti-inflammatory and antiseptic properties. 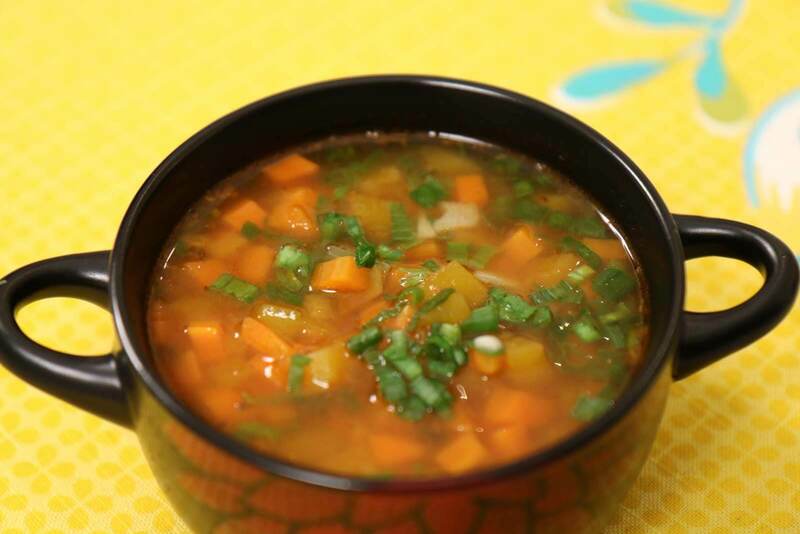 It can help in relieving the symptoms of cold and cough. Another great spice to include in Winters is Ginger. It aids digestion, helps prevent nausea, bloating, soothes the throat and warms the body from within. Enjoy a hot cup of ginger tea with a dash of honey. Don’t let the winter blues get to you. Stay Warm, Stay Healthy and Happy! The best perk of the job has been the opportunity to meet a wide range of celebrities, achievers and news makers and explore the extraordinary. When not chasing celebrities for their stories, Shashi is always ready to pack a suitcase to travel to a new land or pick up a book to meet a new mind.